Story Massage is not just for children… it can be enjoyed by all ages. 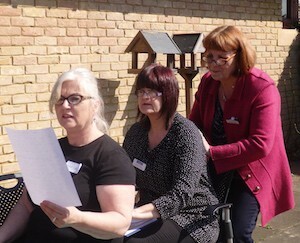 Here are some ideas for using Story Massage with adults, Many of those attending our Story Massage training days are working with adults with complex needs, additional learning needs or dementia, or adults in care homes and hospices. Here is a copy of Virginia’s massage story written to evoke happy memories of the shared experience of a sunny day on the beach. ‘I have been privileged to work with a lady in her 30s who has primary school age children. She is a palliative patient. The storytelling massage has given her something positive to share with her daughter; she is so excited. They are going to write a story together based on their favourite story and create a picture storybook with massage movements to share with each other. She plans to keep this in her daughter’s memory box so that in years to come she can have a very positive memory of how she helped her mummy.’ Denise James, complementary therapist. 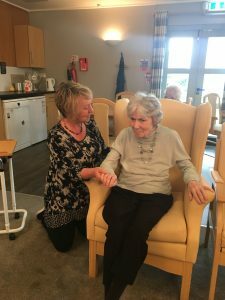 Story Massage can be a fun activity within a group setting in a care home, or shared as a one-to-one nurturing session for individuals. 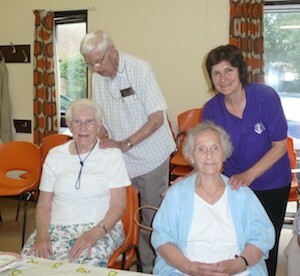 We were invited to run an in-house training session for staff at cluster of care homes in the Bath area. 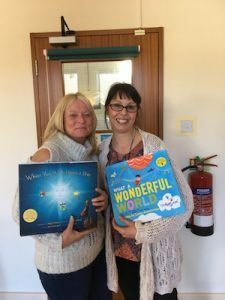 Staff became very excited by the idea of writing stories with their clients as a way of sharing memories and encouraging communication. Another idea was to involve family members to help write a massage story about the person’s life, family, hobbies and work. 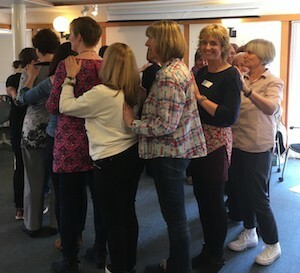 On a recent training day in Newcastle Upon Tyne, Pauline Lyons worked with others to create a massage story to share with a particular gentleman at a care home where she works. 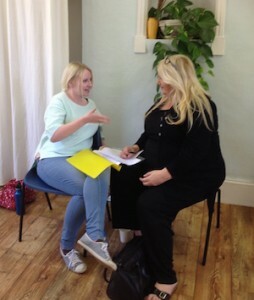 The best way to introduce Story Massage is by encouraging others to have a go…. You’ll be pleasantly surprised at the feedback from others if you set aside a few minutes at a meeting to share a massage story! Ten massage strokes form the basis of our Story Massage book, resources and training. These strokes have a descriptive name, such as The Drum or The Sprinkle, and an easy to recognise symbol making it fully accessible for all ages and abilities.